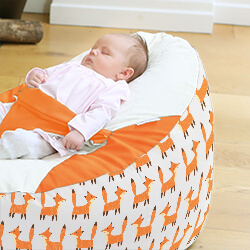 Our Gaga™ baby to junior beanbags provide a place for your newborn to fall into a super cosy slumber or relax and watch the world that is new to them. The playful little fox design is perfect for both little boys and girls and will add character to any space. 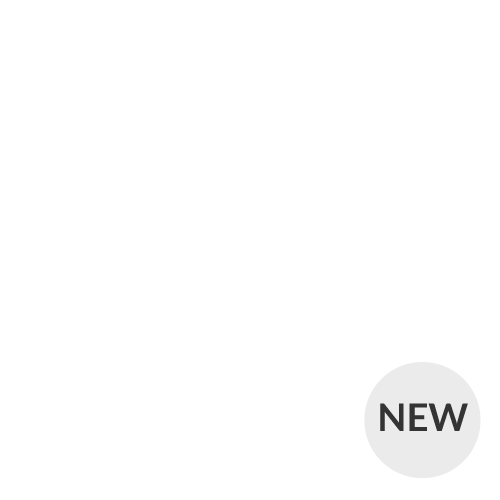 The Gaga™ baby Beanbag complies with EN12790 and BS5852 Pt1. Suitable from birth. Always use on the ground and always use harness provided. DO NOT pick up the product with a baby inside and NEVER leave a baby unattended in the beanbag. 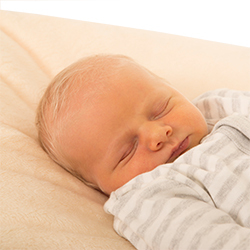 The soft seating area keeps baby snug whilst the gentle incline and soft support help with the prevention of colic, acid reflux and flat head. Designed and printed in-house the fabric is strong, colourful and can be machine washed. The gaga™ seating area features our soft and cosy cuddlesoft fabric that is backed with a water-resistant layer ensuring that your baby is comfortable and the beanbag filling is well protected. Once your child has reached an age where they can sit securely and you are confident they are safe, you may detach the harness and use for many years to come.